ISC Engineering......concurrently engineers and develops leading edge embedded circuitry cables and overmolded SMT/ML PCB's. 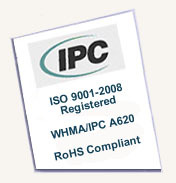 ISC has been designing and over-molding electronic components for many years and is an Industry Leader in this field. The challenges of insert molding around electronics is very different than molded connector products. 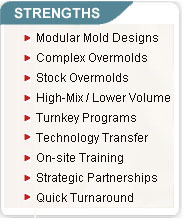 We have state of the art molding capabilities which include digital controls for consistency in the molding environment. Products such as PCB's, switches and sensors are just a few of the variations. The approach includes over-molding directly over either a protected or open device and enclosures.